Community Vision is one of only 6 key Authorised Sky Homes Agents (ASHAs) and approved by Sky for Communal systems installations. Community Vision was established in 1993 by the working directors to design, install and maintain communal aerial, satellite and terrestrial television systems for residents who live in blocks of flats throughout London and the South East. Today we continue to specialise in the provision of the communal television services to flats for owners, residents and Managing Agents. We work with over 1,000 Managing Agents and are responsible for the communal television facilities for over 250,000 flats and 13,000 properties. Our Sales and Customer Service department would be pleased to talk to you about your individual viewing requirements, advise on the range of Sky packages available, Non-English services and help with any viewing issues you may have. Call our Customer Service department on 01892 722 887 today. Our Communal Systems team look after all communal and commercial television requirements, working closely with Managing Agents, Property Managers, Property Developers, House Builders, Electricians and Residents Associations in the design, installation and maintenance of communal systems. Call our Communal Systems team on 01892 725 831 today. 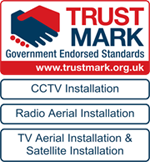 Community Vision has over 20 years experience repairing and maintaining communal television systems on either a ‘call out’ basis or under a preventative maintenance contract. Why not let us bring your building’s television system in line with your residents’ expectations. If you are experiencing issues with your TV signal we have a list of FAQs to help you. Please feel free to contact us regarding any questions you have.